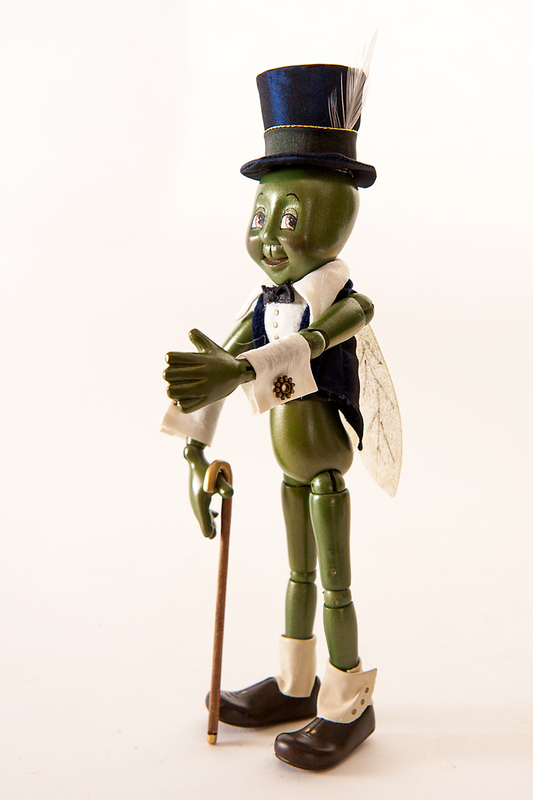 Minimum quantity for "Talking Cricket" is 1. 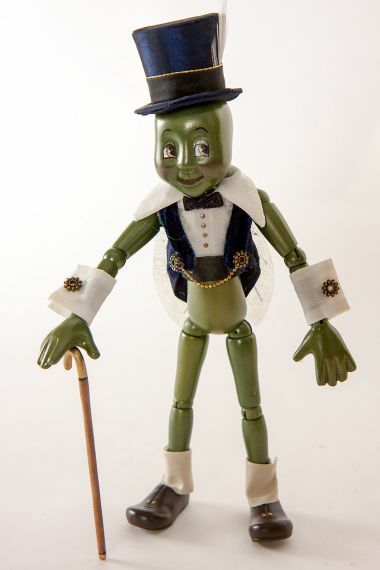 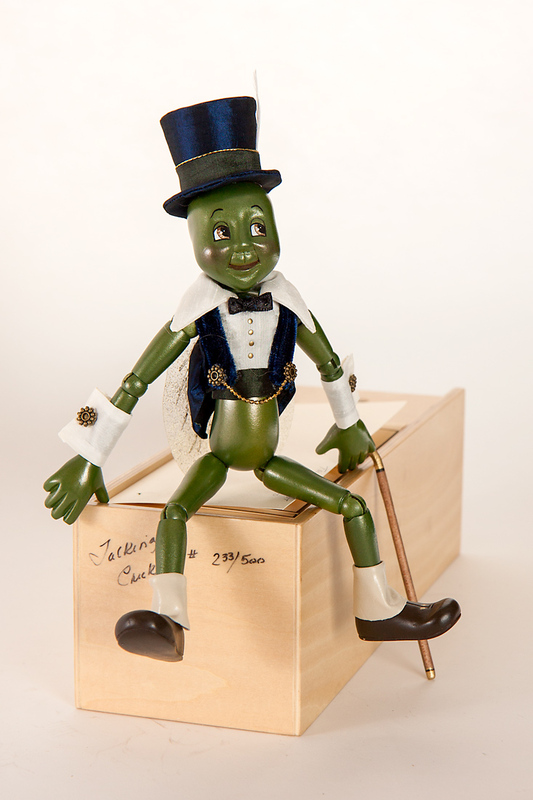 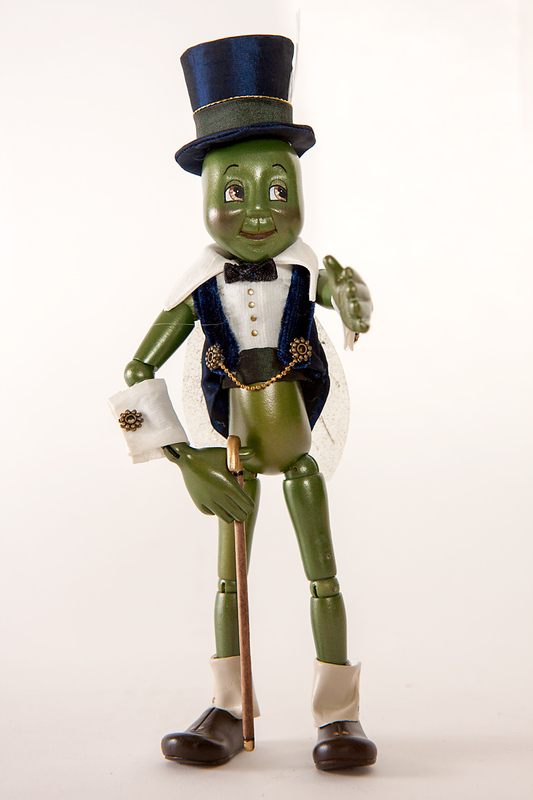 The Talking Cricket, by Canadian doll artist Marlene Xenis, is an approximately 7 inch tall (taller with top hat) jointed masterfully carved entirely of Canadian maple Disney character from the beloved Pinocchio story. 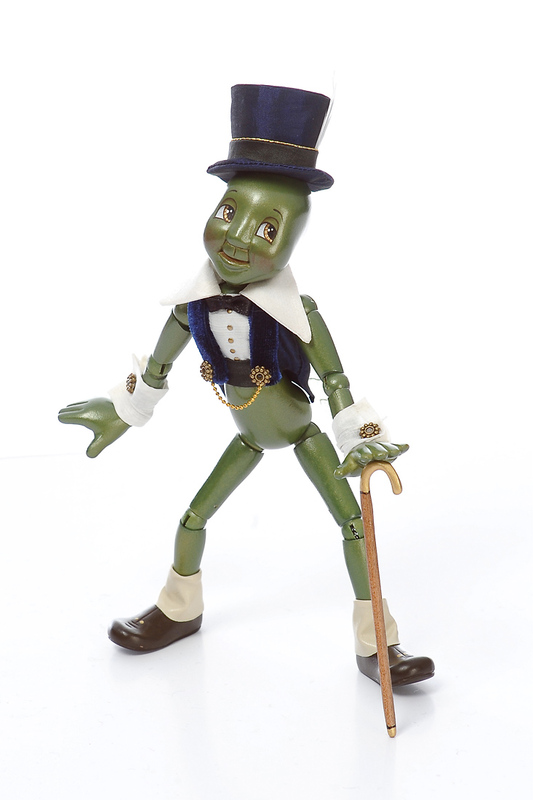 This item is a limited edition production of 500, and has 13 moveable joints for almost endless poseability. The Talking Cricket is Pinocchio's conscience. 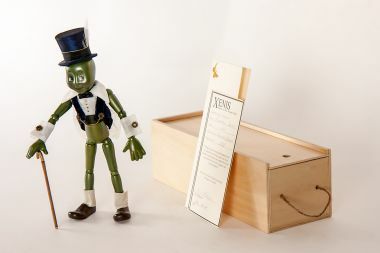 The name comes from the original Carlo Collodi classic tale entitled "The Adventures of Pinocchio and the Talking Cricket" and is from Xenis' Once Upon a Time Series. 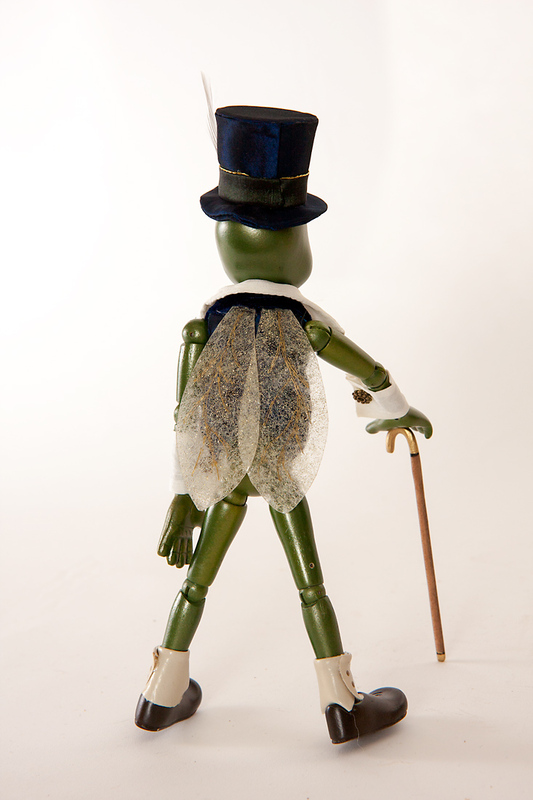 He is hand-painted by the artist and elegantly dressed in an impeccably tailored tuxedo and top hat. Signed with the artist's signature and registration number, the Talking Cricket comes to you in a custom wood box with a sliding cover. 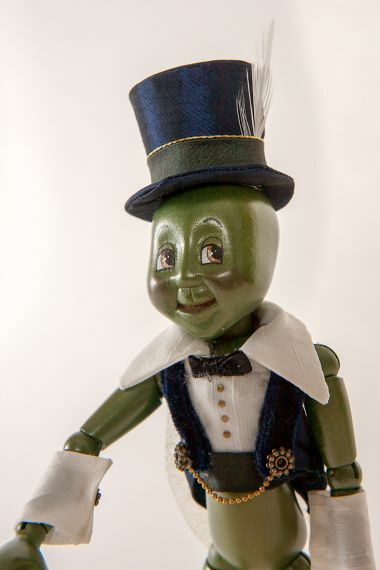 From the 2014 Pinocchio Series.